I got my Samsung Focus last Tuesday (November 9th), the day after it became available, in fact. I mostly got it just so I could develop apps for it. You see, the development platform of choice for Windows Phone 7 is Silverlight, and I love Silverlight. After everything I've learned developing Regex Hero I've gotten pretty handy with it too. As if Silverlight wasn't enough motivation, the Windows Phone 7 OS is pretty slick as well. I think Microsoft did a lot of things right which will make these phones far more popular than their predecessors. For those reasons I'm motivated to get my work out there in the marketplace for this phone. And I cranked out a couple of apps over the past week. This calculator has exactly the same functionality as my site 060calculator.com. But for the phone it's a little more handy to use as an app. Put simply, it estimates a car's 0-60 time based off of horsepower, weight, drive wheels, and transmission type. It's built around statistical averages that are more heavily influenced by these factors than anything else. In other words, if you could only choose 4 pieces of information to build a best-fit formula, these would be the best to go by. It's simple, surprisingly accurate, and addictive. The website has been visited over 130,000 times and now this little app is seeing some action as well. So I wanted to bring those same qualities to this app. One of the bigger challenges with a phone is its relatively slow connection speeds. And I designed the app to minimize bandwidth and wait times by downloading the proper resolution images at the proper times. 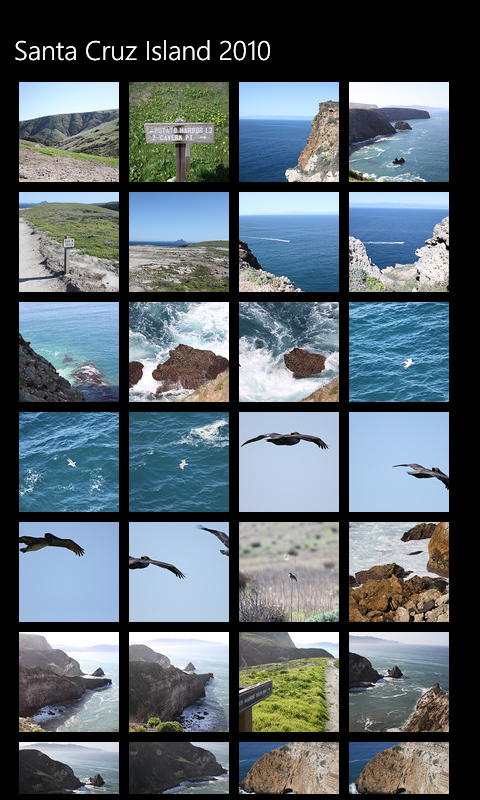 When you choose a gallery, you'll see tiny thumbnails appear. When you click a thumbnail, the thumbnail image itself blows up to fill the screen, while a higher res image is being downloaded to replace it. All of these images are also cached on the phone so once downloaded they are quick to review. The first release of this app is completely free and light on features, but I have more planned for it.